I have talked about hydrogen in the past, but have you ever run across someone who claimed to have a car that ran on nothing but water? I'm not talking about fuel cells either... I'm talking about an efficient electrolysis unit that produces enough hydrogen to run a standard internal combustion engine with very little modification. And... I am not talking about those hydro-boost things that inject a little bit of hydrogen into your engine and "claim" to increase your MPG. Those things do not work. 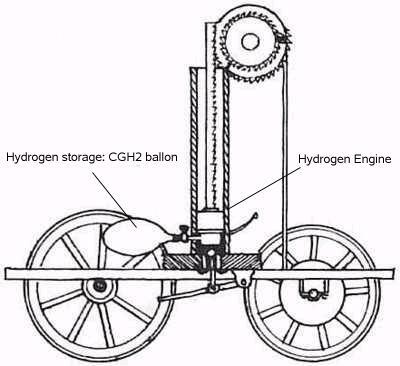 I'm talking about running an engine totally on hydrogen using a hydrogen on demand system to produce the hydrogen. If you listen to the government and the "big boys", they want to create a hydrogen society based on fuel cell technology. Why?... because it will cost "somebody (you)" a huge fortune to implement this technology - everyone will need a new car, all gas stations will need new pumping equipment, and everybody will have to BUY their hydrogen from someone who makes it. Well... guess what - I believe that in the future, you will be able to make your own hydrogen on demand and run a standard internal combustion engine on the hydrogen that is produced freely. The only byproduct will be pure water. How are you going to tax that? How are the "big boys" going to make money on that?... They can't - so that is why they are pushing fuel cells at you and they never talk about hydrogen on demand - HOD. Remember... JP Morgan squashed Tesla's idea of wirelessly transmitting power freely to everybody on Earth. Why?... because JP Morgan could not make money giving away free electricity! 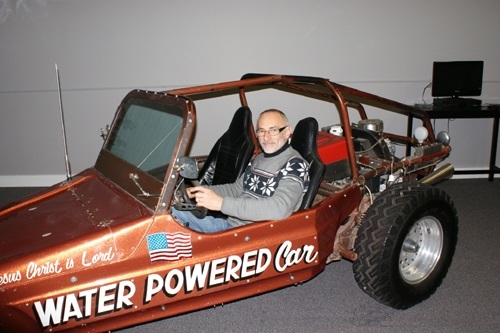 I'm sure many of you have heard about water powered cars like Stanley Meyer's dune buggy and Daniel Dingle in the Philippines. Videos of both cars are available at http://waterpoweredcar.com/ - be sure to visit the inventors page. Whatever you do, DO NOT go to the waterfuelmuseum.com or .org web site and order anything from him - he does not ship product and he does not respond to emails. Warning: as with any other "free energy" technology, there are scammers out there who do not have working models available, yet they ask you for money. DO NOT send anybody money unless you get a working product in return. Not two years from now - I mean a working product NOW. And never buy stocks or invest in a company unless you are 100% positive that they have a working model and you have seen it and checked it out for yourself.